← Per Mertesacker is the Big Winner but Who is the Big Loser? Eight very early observations from two Ozzie friendlies. The team looks fresh and focussed. There is a good spine in the team and plenty of movement around it, both from the flanks and up-front. It was good to see Elneny playing in the central CB role yesterday. He look calm and in control with good physical presence too. Elneny/BFG/Koz are good options to have for the CCB position and playing Xhaka in the deeper DM role adds real strength to the bottom end of the spine. Ramsey ‘The Injun’ is looking bright already. We know him as a slow starter, and we really, really need a good full season from him this time round, and early signs are that he is fit and ready to start the season strongly. 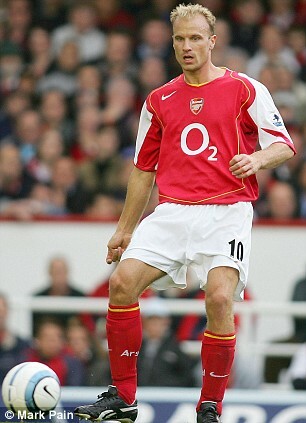 The same goes for one of my favourite Gunners, Nacho Monreal. Boy he is looking sharp and he produced two assists yesterday. One for Giroud and one for Ramsey, and both very well timed and executed. I am loving the three at the back defence and Nacho is just awesome on the left. Lacazette is looking lively but, understandably, still finding his feet at Arsenal. Combining him with the totally reinvigorated Giroud may not be the best thing for the team, but, with Alexis unavailable as yet, it makes sense to play them together. Iwobi and the Ox are looking bright and lively and ready to step it up this season. Early days, but I thought they looked eager and focussed yesterday. It was also good to see some good and keen youngsters getting a chance. They all had good moments although nobody stood out throughout the game. The Europa league will be ideal for giving some of our most promising talents a chance to gain experience at a very high level. Cannot wait. Xhaka is our pivot in the team and his collaboration with Ramsey and Ozil – The ROX – is something to look forward to next season. I love his tidiness, special awareness, positioning, passing and ability to move the game forward instantly. He is also using his physicality better and better now. Kola – our new refreshment from Schalke 04, is looking very promising: powerful, hard working, good passer and keen to impress. I want to see more of him but first impression is…. very good. 1.Yes. I’d just say that Mertesacker was burned by the Ozzie in the first game at some point. If it was a competitive match, it wouldn’t be nice. 2.Yes. Rambo is capable of giving energetic and efficient performances. I’d just disagree with you about his slow starts. He was high-flying at the start of 2013-14 and 2014-15 while the rest of the team was…slow. 3.Yes. I’d just point out at one detail. That run he made after a lovely one-two with Lacazette is something I haven’t seen very often from our players. Maybe since Ashley Cole was marauding down the left flank. 4.Lacazette… I don’t know. I wouldn’t have signed him as my first choice but he looks like a player who can score goals and, more importantly, can link-up with the rest of the team. Welbz and Alexis don’t have that quality in the No. 9 role which is why Arsene hasn’t been able to show Giroud the exit door. It’s no wonder Ollie is no longer secure about his place in Arsenal. 5 and 6.Yes. That’s an interesting thing. I can’t remember when we had so many players who can beat the opponent with a dribbling using either pace or technique (or both). Maybe that’s a sign of a positive work with the youngsters. Maybe we got a better Willock to stay. 7.Xhaka should become the vital cog in our midfield next season, absolutely vital for the transition with Cazorla out until God knows when. He looks sharper and stronger, more gelled with his team-mates. It is still pre-season and frankly, it was more about the players getting minutes and their stamina up, so the likely positions of some of the players remain unclear. For instance, I will prefer Sead Kolasinac at wing back and most will wish to see Lacazette up top. The youngsters were just happy to play, even if in unfamiliar roles. However, Wenger did speak of trying many systems so as to settle on what works best for the side, in different situations. My guess is things will start to take shape during the Emirates cup in two weeks and a bit more in the Charity shield team sheet. Ox was utilized in 2 different positions in both games, down under. Given his apparent sulking during both games, I have to say Giroud does look like he’s leaving. Maybe, the thought of playing second fiddle, at club level, to a player he is ahead of in the national team may just be too much for his heart to take; I want him to stay but can’t fault him if he decides to move on. Now, to some real tests, starting Wednesday. Don’t expect too much in physicality in the games in China, though. More of the team taking shape will be during the China trip. We will definitely not be showing our hands against Chelski, but we will have a better idea of what to expect with the strategy for the new season. And whether to start both Kola and Nacho on the left sides. TA, the young Gunners are trying hard to impress and i have to say all of them looked good with their seniors. I would not see too much in Elneny being one of the 3 central defenders. We have ample players in there and adding one more will not make sense to me. Good to be talking real football again. A bit sick of the Alexis headlines. China matches would be stiffer and more pride would be at stake. Still it’d be some more of building up stamina and testing out other combinations. Ozil with Lacaaz leading the line in one group, Welbz with Giroud leading the line in the other group. Playing Giroud and Lacaaz together I suspect is Wenger trying not to create an atmosphere of rivalry between the two : dressing room harmony. But there is no getting away from that, so the sooner the tango begins the better. It’s clear it’s a case of either or. Both playing would be the underuse of one of the them who at the same time would be displacing another player better suited for the role. Balance is the word. Harmony in the dressing room as well as playing harmony on the field. I hope our players with the extended break would join in when the traveling squad jets back so they can partake in the Emirate Cup. We have a poor record with our 1st game of the season. Our home loss to Liverpool last season caused us the CL slot. I expect further signings (if any) to happen in the last 2 weeks of the season when the market must have moved and player values become more realistic. PE, the link below suggests our opening day record is no worse than the next club, really. In 23 opening day games in the Premier league era, we’ve won 13, drawn 6 and Lost 4. I guess the more recent memories were of losses to Villa, Swansea (?) and Liverpool and this has fuelled the narrative. * West Ham* not Swansea. Anything on Perez at the moment? 1. I don’t really agree with you about Elneny as our CB.. In first game, he almost made us suffered a goal by his miss-pass.. I don’t know what Wenger really want.. but I think he just made some testing.. hehehe..
We will see the real team in a real games in China..
2. Ramsey is good.. no one can deny it.. hehehe.. Still wait for the news.. Whose Celeb that die soon.. hehehe..
3. Monreal.. Very strong LB.. He will be our great LWB also.. And I think Wenger will get a headache to find the best LWB between Monreal and Kolasinac.. both are great..
4. Agree with you.. I must admit it also not a big fans of him.. but he is great.. I see him more as Aguero kind of player.. Nice to have him in our team.. But if we want to get a better result.. we must play two strikers.. so 3-5-2 will be my recommended form.. Together with Sanchez, they can easily score more than 50 goals.. hehehe..
5. Iwobi and Ox to take Ozil’s place.. I don’t think so.. No one can take Ozil’s job.. hehehe.. better playing them as our RWB.. But Iwobi must learn harder to defense as good as offense..
6. Yes Our Youngsters are good and very promising.. Hope they will shine.. and keep getting better and better..
7. I like ROX.. sound like Rock.. Hope can be as strong and solid as Rock.. I wish our the ROX will growing to be the best midfielders in the world this season..
And if we play 3-5-2.. then they can combine to be 1DM – 2AM or 2DM – 1AM..
8. Sead Kolasinac.. Our free agent.. I feel he will give a great contribution for us.. just as Ibra gave MU last season.. in different way certainly.. I hope Wenger can find the way to combine him into the team.. especially with Monreal..
Just hope he won’t be Monreal subs.. to good to be warming the bench.. hehehe..
Last the Sanchez saga isn’t over yet..
Lemar, Mahrez, Dembele still link with us.. Even a barter with Aquero also..
With Mou now is also involved.. This saga will continue till the TW closed..
Eris forgive me for not being more specific, I meant our more recent past, Aston V, W. Ham, Liv. Back from China I’d prefer Wenger plays his current 1st eleven choice together in 2 matches. Even unchanged teams have to re-gel after long brakes. I’m a bit surprised to see Calum Chambers being linked with a transfer out of Arsenal this summer! Chambers still has 2 years left on his contract, so you would think if he is part of Wengers plans that this summer is the optimum time to tie him down to a new deal. With BFG into his last year and Koscielny having to be treated with care due his leg issues, I would have thought that Chambers would be earmarked for an important role in the near future. So West Brom are interested in Kieran Gibbs…?! The same West Brom that were rumoured to be hoping to rip us off over a possible bid for Jonny Evans, which thankfully came to nothing. I hope they don’t expect any favours? So why would anyone think that a reported bid of £6 million for a Jack Wilshere would get anywhere? Ospina, Szczesny, Jenkinson, Perez, why is it that Arsenal are expected to give their players away on the cheap but have to pay a premium when trying to sign players? Kev, because we are one of the money bags selling our “dead woods” to the poor! Hm.. we are definitely not selling our deadwood to the poor for cheap. As we need the money to get new players. I do not really see Chambers as one for the future. Rather, Gabby and Holding are the ones to look at. For tomorrow’s game, the temperature is expected to be in the mid 30s (celsius), so we expect water breaks and the game being played at a slower pace. I understand that PE but it even happens with some of our better players, Tottenham got £50m for Walker, how can it be that the same sum is quoted for Alexis with no guarantee that any bids will come up to that figure. It’s all to do with contracts mate and because we allow too many players’ to drift into their last year leaving us vulnerable.